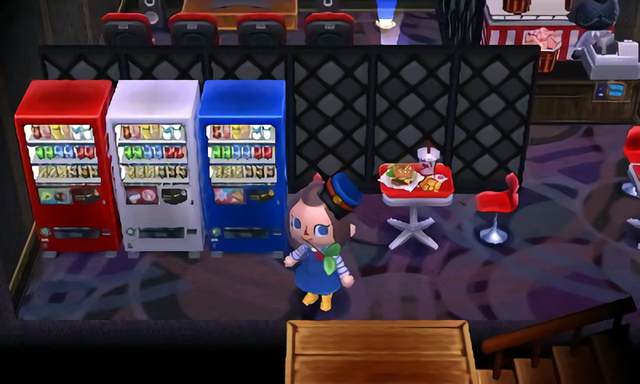 The red version of this drink machine previously appeared in Animal Crossing: Happy Home Designer, but Animal Crossing: New Leaf – Welcome amiibo for the 3DS adds white and blue variations. 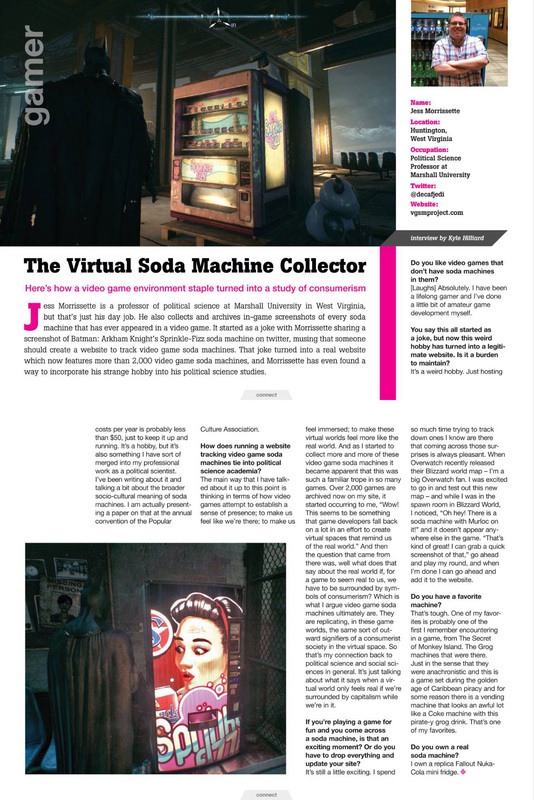 Thanks for the screenshot, Arychii! 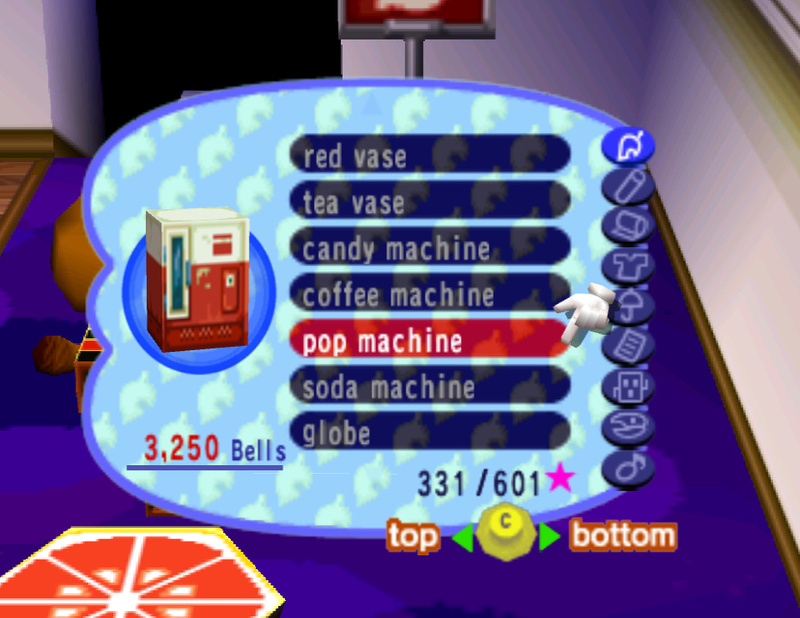 Browsing through the catalog at Tom Nook’s in Animal Crossing for the GameCube. 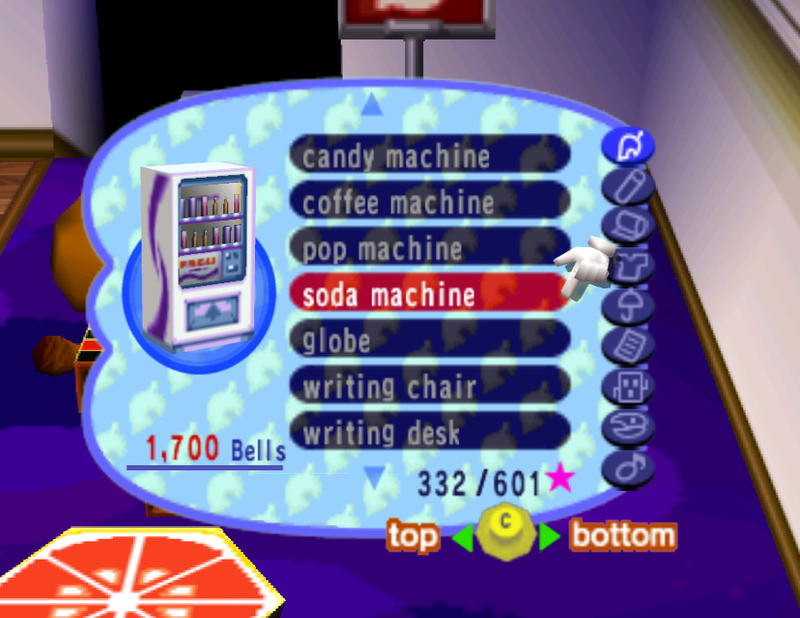 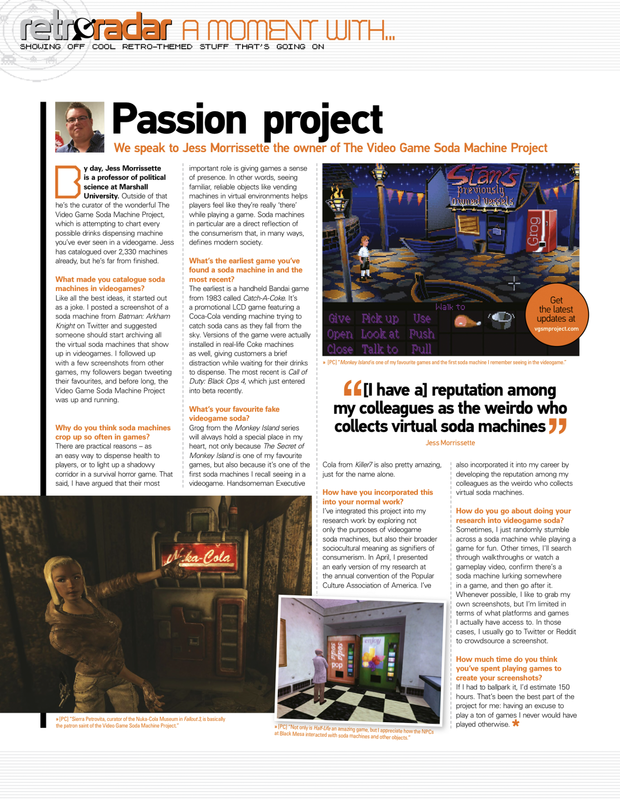 Time to decorate my house with a soda machine in Animal Crossing for the GameCube! 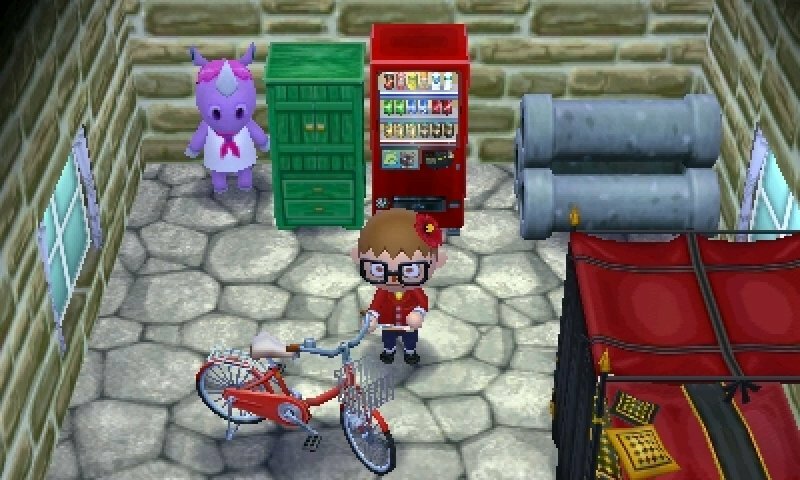 Designing your dream home in Animal Crossing: Happy Home Designer? 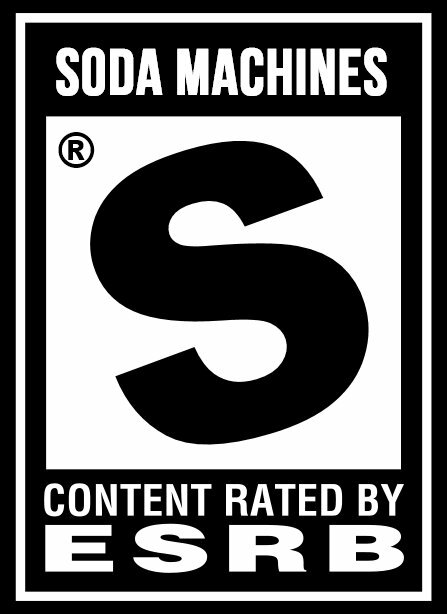 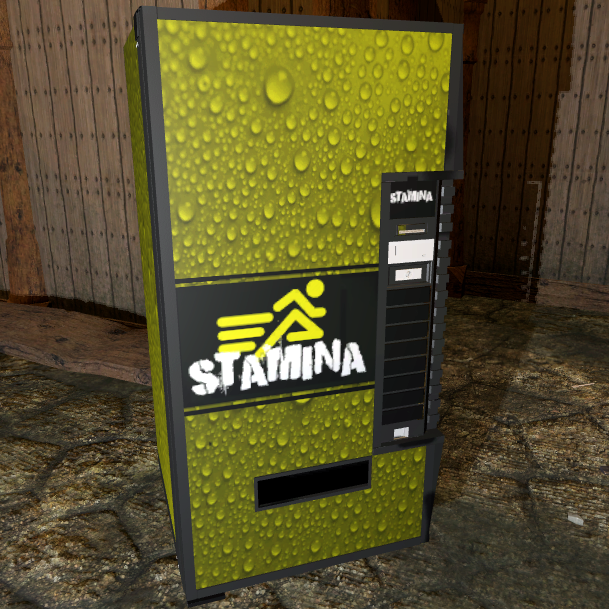 Might I recommend a soda machine?